When I got my subaru it's just came with a japspeed backbox. I was looking around quite liked the sound the of the blitz exhaust but then saw a lot of people said it's really loud. I quite like the sound of my exhaust but want it to be abit louder. Would it be best just to de-cat it or get a whole new exhaust. I'm looking for more performance aswell as I'll do a remap after. What do you guys think? Last edited by Wrx90; 27 Jun 2014 at 08:57 PM. Re: What exhaust to get. You could change the centre pipe to a non resonated one, that should make a bit of difference. fit a japspeed 100 cell sport cat. Still need to get it red hot to pass MOT. Got one fitted to my classic with a jetex cat back system (no where near as loud as a Blitz) and it went from standard 218bhp/217lb-ft to 271bhp/261lb-ft with standard snail (TD04 turbo) lol it was road remapped by Andy Forrest. 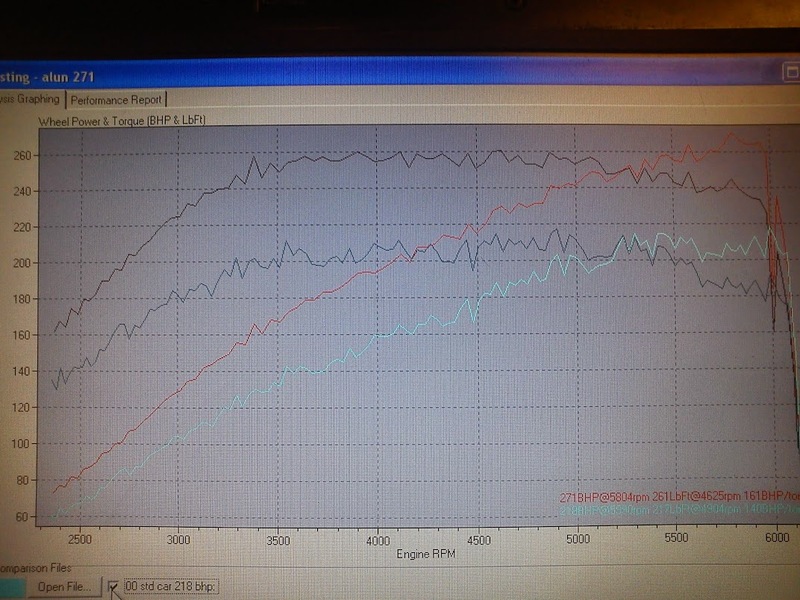 MAF was on its way out that is why the graph is spikey but the car pulls very smoothly and I replaced the MAF and its spot on.